Our waterproofing and insulation services are revered as being some of the foremost in the UAE. 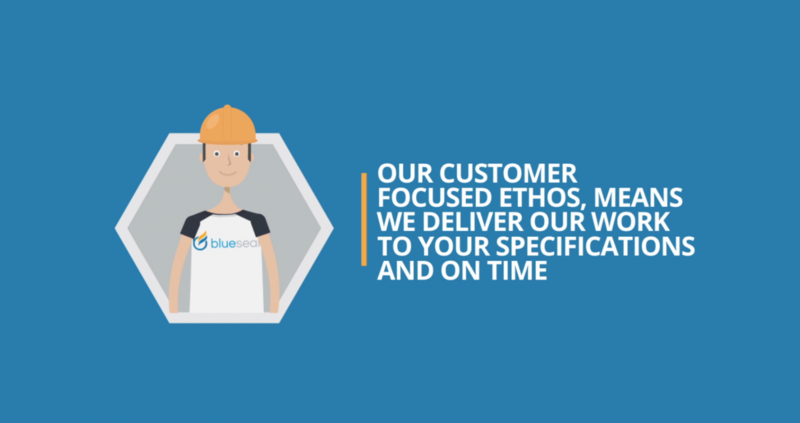 We take great pride in delivering a customer-centric service that’s second-to-none. Blue Seal is Dubai’s leading waterproofing company. With our experience, we provide tailored and comprehensive waterproofing solutions that are perfect for your environment. To learn why we have established such as strong reputation as the premier waterproofing contractor in Dubai, and throughout the UAE, get in touch with us today to find out more. Our waterproofing contractors hold all relevant accreditations. This provides our clients with the assurance that all work will be completed to the highest standard. Let Blue Seal take care of all your waterproofing and insulation needs. We have provided superlative solutions, including the installation of peerless membrane waterproofing solutions to homes and commercial buildings, insulating a host of expansive and contained basement environments and providing astute advice on all waterproofing and insulation matters. combination of waterproofing and insulation solutions that comprehensively protect your property, call us today on: 04-227-0123. As one of the UAEs best waterproofing companies, we use only cutting-edge techniques that are at the forefront of the sector. To find out how you can take advantage of our skillset and install the foremost membrane waterproofing solutions, call us today on: 04-227-0123. We have significant experience installing GRP lining in homes across the UAE. To learn how you can improve the energy efficiency of your home by installing this composite material, call us today on: 04-227-0123. As one of the top waterproofing Dubai companies, we are well-versed in this highly-flexible polymer-modified cement membrane. Perfect for construction or restoration projects, we can apply this waterproofing solution to a wealth of private and public facilities with ease. Call us today on: 04-227-0123 to find out more. Our strong knowledge of polyurea’s coating properties and lining capabilities means that we can help you protect piping systems with a high-performance coating to buildings of all descriptions across the UAE. If you’d like to know more, call us today on: 04-227-0123. If you’re looking to make your home more energy efficient, insulating your home against baking temperatures, we can help. Call us today on: 04-227-0123 to find out how we can help you keep your home cool – even as temperatures rise. Get comprehensive guidance and meticulous installation of EIFS (exterior insulation finishing systems) with unparalleled insulation and water-resistant properties. Call us today and arrange a consultation on: 04-227-0123. We provide the ideal choice for injection system solutions. To discover how we can provide you with a tailored solution, call us today on: 050-431-1424 (this is the mobile number, might be best to use the office line to keep the content synchronised across the site – unless, of course, there is a specific reason ie contact who only deals with the Injection System product. Able to provide definitive pile head solutions, we will help your property to sufficiently manage the supporting force of any structure. This guarantees the optimal performance of your concrete foundation. Call us today on: 050-431-1424 to find out more. Learn about everything you ever wanted to know about insulation and waterproofing in Dubai and the UAE when you read our engaging blog. Visit us every month to expand your knowledge and learn what’s happening in the insulation and waterproofing sector. Blue Seal is proud to be one of the leading combination waterproofing contractors in Dubai. Our expertise is matched only by our dedication to delivering unsurpassed levels of customer service. These qualities have been evident in all we do from the inception of our business. We are well-versed in every facet of waterproofing installation; we can protect your property using a combination of waterproofing and insulation solutions that comprehensively protect your property. We adopt a tailored approach meaning you can enjoy combination waterproofing and insulation solutions that completely meet the individual characteristics of your property. As a customer-centric waterproofing contractor in Dubai, we provide a tailored service to each of our clients. We identify those combination waterproofing solutions that perfectly match the specific requirements of your property. Through our expertise, we will clearly advise you on whether membrane waterproofing or concrete waterproofing or a combination of both is the best solution for you. This gives you complete confidence and assurance in our reputation as one of the top waterproofing contractors in Dubai. Our combination insulation and waterproofing contractors hold all relevant accreditations. This provides our clients with the assurance that all work will be completed to the highest standard. This applies to all our services such as GRP Lining. With our experience in the residential and commercial insulation and waterproofing sector, we have provided unmatched waterproofing solutions to homes and commercial buildings across the UAE. From wet area waterproofing to waterproofing concrete or a combination of the two, our services are as sought-after as they are bespoke and admired. We can provide you with astute combo waterproofing advice and then comprehensively install solutions as durable as they are innovative. Our strength lies in our waterproofing knowledge. We are one of the most trusted combination waterproofing contractors in Dubai.